Тип уроку: Урок контролю та оцінювання знань учнів. компетенцією в межах вивченої теми. розвивати фонетичний слух, мовну здогадку, творчі здібності та здатність самостійно планувати мовленнєві дії. виховувати культуру спілкування та повагу до думки співрозмовника. T. Good afternoon, dear children! Nice to see you again. Take your seats. Today we are going to sum up the results of learning the topic “Food” ( speaking, listening, writing, reading) .You should prepare projects about food in different countries such as: Ukraine, Great Britain, USA and know about food of Native Americans. Today if your answer is correct you’ll get a smile-sticker. At the end of the lesson we’ll count smiles. Вчитель та діти співають та виконують рухи під музику. Guess the riddles - I have a basket. You have to put some food into the basket but what food you have to guess. Take the envelope and guess the riddles about food. Students take the riddles by turn— one participant from the team. It’s a vegetable. It’s round and yellow. It's a long, orange vegetable. Rabbits like it. It’s white. You like to drink it. It’s not a vegetable, not a fruit. It’s a vegetable. (A cucumber). 6) It is long and yellow fruit. It is sweet and tasty. It grows in the tree. Monkeys like to eat it. (A banana). 7) It is a vegetable. It is red. Last Thursday Americans celebrated Thanks giving Day—holiday of friendship, harvest, support and kindness. Today we will do some tasks about this holiday. Watch the video about history of Thanksgiving Day and answer some questions on turn by teams. First will be about main Thanksgiving dish—turkey. It’s a symbol of this holiday. Imagine you are a turkey and Thanksgiving is coming soon. Now, you really don’t want to be chosen for the dinner table. Write a speech explaining why your partner is better choice for the dinner table. Teacher listens 1-2 students from the team. Students were divided into 4 teams by teacher earlier and prepared projects together. First team—find and learn material about Ukrainian food, second one—about—American food, third one—about British food and last one—about food which Native American eat. Pupils tell about different meals in Ukraine, UK, USA and food which Native American eat. Various seafood, especially fish, played an important dietary role in the Northeast and Pacific regions Of USA. Meat was the central dietary ingredient for the Indians of the Midwestern plains, where large herds of buffalo roamed. Deer and rabbits were also hunted. Native tribes of the Northeast hunted elk, moose, and bears. Corn has always been a sacred food for Native Americans. Different tribes have different names for corn, but all of them mean "life." Corn was the most important dietary staple. It was served at almost every meal. Ears of corn were boiled or roasted over a fire. Corn was also pounded into flour and then cooked as cereal (mush) or baked in bread. Native Americans were also the first people to cook popcorn. The Ukrainians have meals four times a day and their cuisine is quite varied.1) breakfast.... .. is the first meal of the day. It is usually light - bread with butter or kasha (cereal) with milk. Some people may have pancakes with coffee or tea. Some people even eat soup but, of course, sandwiches and coffee are very popular. (2 )Lunch ... is usually in the middle of the day. It is (3 ). the biggest meal..... of the day. It includes ( 4 ) . three courses •...... People have a starter (salad, cheese, etc. ), soup, steaks, chops or ( 5 ) .. • fish fillets with a side dish •......a lot of bread and something to drink like (6) .... compote •.... A t four or five the Ukrainians may have something for (7) ... a snack.. :cakes with juice, tea or something of the kind. (8) . dinner... ,. in Ukraine means one more big meal at seven. English people usually have four (1) .. meals... during the day: breakfast, lunch, tea, dinner or supper. At about 8 o’clock in the morning people have (2) . breakfast..... . They eat porridge or cornflakes with (3) milk..... or sugar, fried or boiled (4) .. eggs... with bacon, bread and butter or toast with (5) . marmalade...., or jam and a (6) . cup.... of tea. At 12 o’clock the English have (7) ... lunch... . They like to eat fish and (8) . chips.........., potatoes, beans, carrots, cabbage or peas. People usually drink tea, coffee, juice or lemonade (9). Schoolchildren have their lunch in the school canteen. Some children bring their (10) packed lunch..... with sandwiches and fruit. At about 5 o’clock the English have (11) ... tea .. with milk, a cake or a (12) ... roll.. with jam.The English have the evening meal, (13) dinner ..... or supper, at 7 o’clock. People usually have a (14) . plate.... of soup, meat or (15) . chicken.... with vegetables, cheese, tinned fruit, ice cream or an apple pie. At the end of our lesson I want that we say thanks for everything we have today: family, food, friends, home, clothes, school and others. Children write their thanks on colored paper in the shape of their hands. Then they come to board, read and hang their paper-hands. As a result they will make a turkey’s tail. I am thankful for ….. 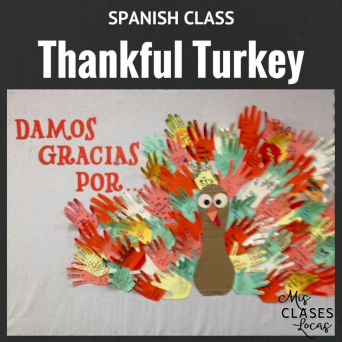 Teacher says : I am thankful for such children I have. T. Well, today you have worked very well. I am thankful for your great job. Let’s count our smiles. You were great and I’ll put you only excellent marks. You are free now, see you tomorrow!!! Розробка уроку з англійської мови для 5 класу на тему "Робочий день. 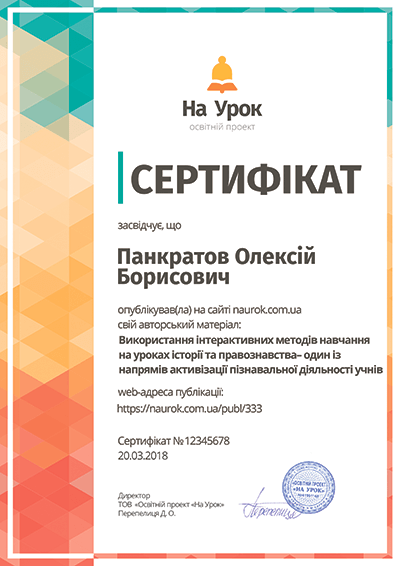 Які новини?" Конспект уроку на тему "Їжа"
Презентація до уроку англійської мови у 5 класі за темою "Погода"
Презентація "Holidays and Traditions. Lesson 2: Invitations. Dates"